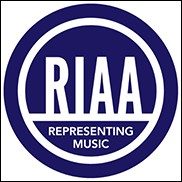 RIAA Says: Now There's #AppleMusic – The More, The Merrier. WASHINGTON, DC (Hypebot) – Apple’s entrance into the subscription streaming market made a predictable splash. It’s telling that Apple continues to pour significant time and energy into music. It confirms once again that music is a dynamic space worth investing in. As we have said often, music “punches up” and drives the online conversation far more than the relative economic size of the business. For some context, the paid subscription market has grown quickly both in the United States and globally. According to our data, revenues from paid subscriptions in the United States alone were up 26% to just shy of $800 million in 2014. The number of paid subscriptions also grew 25%, reaching 7.7 million for the year. And that’s just part of an even larger global trend. According to IFPI, about 41 million people subscribed to paid services worldwide in 2014, up from just 8 million in 2010. The growth is encouraging, but here’s the key part: it only captures a small part of the overall market of music listeners. Ninety seven million people watch or listen to music on YouTube and Vevo in the United States (source: MusicWatch, Inc.). Twenty seven million subscribe to SiriusXM. Forty million subscribe to Netflix. There’s a huge appetite for music and engaging entertainment, delivered by sleek and consumer-friendly platforms. The potential is there, so it’s incumbent on everyone to make sure there’s a fair playing field so services like these can continue to grow. That’s partly why we don’t subscribe (no pun intended) to the narrative of any new service being a “[insert streaming company name here] killer.” There’s a healthy market for many services and lots of competition! We can expect lots of innovation in the streaming marketplace as digital services compete for subscribers. Nor will it be one size fits all. The record labels have been progressive in embracing a variety of models, so that consumers can have music when, where and how they want it. Our revenue numbers reflect that diversification: there’s now a healthy mix of revenues of about 1/3 each for streaming, downloads, and physical products. It’s also worth noting that healthy competition and a vibrant marketplace where various services angle to attract listeners is a good thing for both fans and the music business. More digital services spending more of their energy and time thinking about expanding the music pie and attracting more paying subscribers is a win-win for labels, artists and songwriters. It’s gratifying to see the news coverage enumerate all the licensed options for music fans. Apple Music? The more, the merrier.